Do you want door installation North Chevy Chase, Maryland companies? Then, contact King Door and Lock Maryland and DC! You can expect extensive door expertise. Is the entrance door of your house damaged and in serious need of replacing? Is your garage door in such lousy shape that it’s impossible to barely get it open nowadays? If you own a business, are the entrance doors to your property marketing the preferred image and do they still maintain the features that you need? Regardless of whether you need a door for your dwelling or commercial establishment, or a completely new garage door, we are your quick and friendly, 24/7, exceptional Montgomery County, MD door installation company. We have all of your household door needs covered. Are you interested in a new screen door? In that case, call our team to discover what screen door professional services you will require. You can expect upfront prices to guarantee no hidden fees. The entrance door of your dwelling is the first thing visitors will see once entering. A front door installation from King Door and Lock is going to suggest professionalism, craftsmanship, and high caliber to anybody that walks through it. We’re upfront regarding our entrance door repair and replacement costs. You can have certainty with the work that we perform when installing any of your doors. In combination with fixing entry doors, we can also work on back doors or patio doors. Based on how worn out the door is, we can easily either complete a patio door repair or total replacement. All of our qualified door technicians supply only the most premium door repair and door installation North Chevy Chase, Montgomery County solutions. Commercial door installation and repair is different from non-commercial door replacement and repair. Our technicians are experts at both of these services. Your business could have numerous entrance doors that will have to operate smoothly alongside each other any time a individual comes and goes. 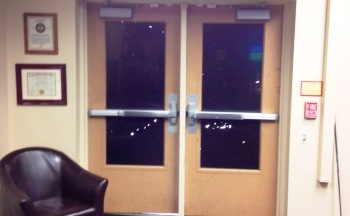 As opposed to non-commercial doors, commercial doors are often designed with more complex hardware. At King Door and Lock Maryland and DC, we have been installing storefront doors for almost 10 years. We also recognize, being a business ourselves, that you are consistently keeping an eye on your bottom line. At King Door and Lock, we believe that our rates for door replacement, installation, and/or repair solutions are definitely the most reasonable for the premium service we provide you with in DC and Maryland. If you find a cheaper company for the job, then they will be lower in quality too. To make it easier for you, King Door and Lock uses up-front pricing to guarantee no hidden fees. Redesigning your household in the North Chevy Chase region and adding on a garage? King Door and Lock Maryland and DC features a skilled crew to install and repair garage doors. Due to the various parts of a garage door, it really is vital that you employ professionals for the task. The garage is the ‘home’ for your vehicle and various other possessions that the majority of us store in there: lawn mowers, leaf blowers, bikes, etc. Because of the number of possessions that many of us store in our garages, it is necessary that they are secure and working properly. You need the job done right by our experienced specialists making use of their advanced tools and equipment that enable them to handle any job of this nature. For those who currently have a garage door but it isn’t working properly, phone King Door and Lock for superior garage door repair in MD and DC. For the same explanations presented above, you want to be certain that garage door repair is completed properly to begin with to secure the valuable items you keep within. Our knowledgeable professionals will have a look at your garage door and tell you if it needs to be replaced or perhaps if it can simply be repaired. We’ll let you know what it will cost in advance so there will not be any surprises when you get the bill. In case your business needs garage door repair or replacement, then we are your experienced and trained specialists for commercial garage door repair and replacement. Utilize our comprehensive door solutions so our business can help your company to be successful. Our speedy and friendly technicians can get to your place of business promptly to let you know how much installation or repair will cost you. We will then manage the work effectively and courteously to help you give attention to your own business. The technicians at King Door and Lock Maryland and DC are the door professionals. 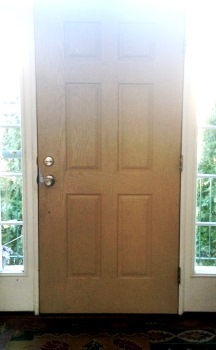 For door installation North Chevy Chase, Montgomery County assistance, contact us. We provide comprehensive door expertise: door installation, door replacement, door repair. Our 24/7 door solutions covers residential doors, industrial doors, and garage doors. As well as exterior door replacement, repair, or installation we are also able to fix or remove and replace interior doors in a dwelling or commercial building. Internal doors we specialize in replacing and repairing comprise pocket doors, closet doors, and bedroom doors. Initially, our experts will determine the kind of work that is required to be done. Maybe you won’t need to have a whole new door. It might be a matter of a door jamb repair or even a door hinge repair. If the door frame is damaged, then maybe a door frame repair is all that’ll be necessary. Our technicians will isolate the problem, find out what really is required to be completed, and after that, provide you with straightforward pricing so you have the details you need to make a good decision. If you’re in North Chevy Chase and also the vicinity, call us right now. We are here for you 24/7/365! Our Door Installation North Chevy Chase Services in Maryland https://kingdoorandlock.com/maryland-door-installation/montgomery-county/north-chevy-chase/ 4.0/5 based upon 8 reviews.